The sound or letter ka is called kakāra (“ka-action”); the sound or letter ga is called gakāra, and so on. This applies to all the sounds / letters, including the vowels (e.g. akāra), except for ra which is traditionally called repha (“snarl” or “burr”) or simply ra, but not rakāra. the anusvāra and visarga (or visarjanīya), which only arise through the rules of sandhi (euphonic combination) and are thus not strictly part of the alphabet, are always referred to by their own name and have no -kāra name. We shall now consider the final eight consonants (vyañjana). A semivowel (antaḥstha) arises when one of the basic vowels moves to the a sound: i moving to a gives rise to the sound ya, similarly, ṛ moving to a produces ra, ḷ to a produces la, and u to a produces va. As a moving to a will not produce a new sound, there are only four semivowels. These are considered to be between vowels and consonants, and so are called antaḥstha (“stand between”), and are naturally voiced (ghoṣa). They are formed by slight contact (īṣatspṛṣṭa), and thus allow a restricted flow of air through the mouth. The first three of these, ya, ra, and la, are similar to the English sounds in “yum”, “rum”, and “luck” (respectively), but do pay attention to the mouth position. The derivation of the last semivowel (antaḥstha), although transliterated as va, produces a sound akin to the English “wa”: this latter pronunciation accords with the grammatical tradition and makes the rules of sandhi (euphonic combination) easier to grasp. Other traditions pronounce this as the English “va”, in which case its mouth position, making use of both teeth and lips is called dantoṣṭhya. A sibilant (hissing sound) is called ūṣman (“heated”). They are considered to be īṣadvivṛta (slightly open) or ardhaspṛṣṭa (half-contact), which allows a restricted (hissing) flow of breath through the mouth. The sibilants are aspirated (mahāprāṇa) and unvoiced (aghoṣa). The sa sounds like the sibilant in the English words “seek” and “kiss”, ṣa like the “sh” in “ship” or “wish”, and śa like the sibilant in the German “ich”. These sound analogies are given as a very rough guide: the description given above, and the mouth position in particular, are to be taken as authoritative. In theory, there are two more sibilants, called the jihvāmūlīya and upadhmānīya, which are described as a “half-visarga” before ka / kha and pa / pha respectively. These are so very rare that for all practical purposes they can be ignored. This aspirate (sometimes considered a sibilant) is also called ūṣman(“heated”), with similar qualities. It is generally pronounced as unvoiced (aghoṣa), however, according to the grammatical tradition it is voiced (ghoṣa). … śa ṣa sa ha. Here are the first ten consonants in devanāgarī script. 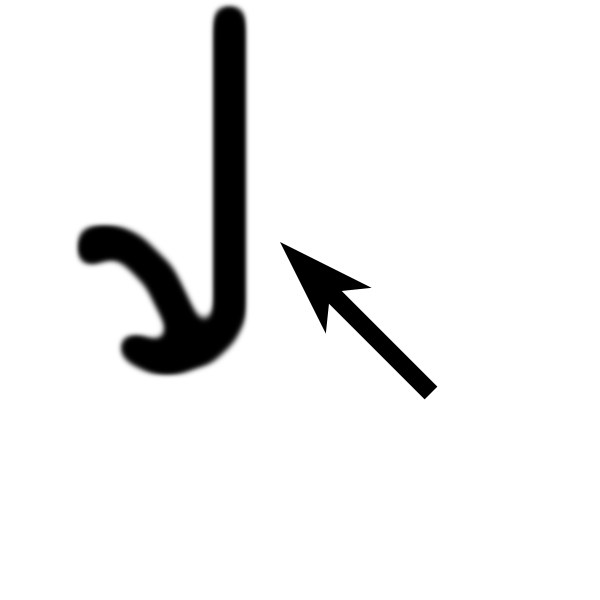 Each symbol includes the sound a; for example, the first symbol is ka and not just k. Note the similarity between the forms of i (इ) and jha (झ). this portion of the symbol is written without lifting the pen! The personal endings of verbs given thus far are called parasmai-pada (“an expression for another”) because the fruit, or result of the action, is transmitted to another. These are the normal endings for an active transitive verb. The ātmane-pada (“an expression for oneself”) personal endings used in the active form of the verb (called the middle voice) imply an action whose fruit reverts to oneself: this does not mean reflexive. By way of illustration, the sentence “I married her” would be expressed in ātmane-pada or parasmai-pada when spoken by the husband or priest respectively. Some verbs are conjugated in one pada only, some in both, and some partly in one and partly in another. The division is not at all definite, and has come to be a matter of conventional usage; nevertheless many verbs do retain the formal distinction between parasmai-pada (active voice) and ātmane-pada (middle voice). where the dhātu is followed by the eka-vacana prathama-puruṣa form, and the English translation of that form. Many of the verbs in this course may be conjugated in either pada, but within the limits of the simple sentences in the exercises, please use the pada given: in the case of dhātu nī for example, use the ātmane-pada endings. A noun, like the verb, has its ultimate origin in a dhātu (root); affixes to the dhātu form the noun-stem (prātipadika) which will have a particular grammatical gender (liṅga): masculine (puṃ-liṅga), feminine (strī-liṅga), and neuter (napuṃsaka-liṅga). To the prātipadika form are added case-endings (sup-vibhakti) which indicate the relationship of the noun to the verb. There are seven such grammatical relationships; and, like the verb, each of these has a singular (eka-vacana), dual (dvi-vacana), and plural (bahu-vacana) form. 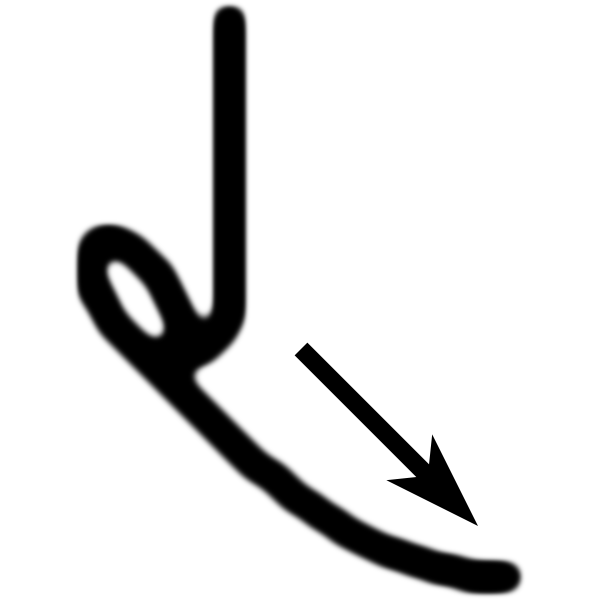 The first (prathamā) of these is the nominative or naming case, and usually names the subject of a simple sentence or the agent (initiator or instigator of the action) of the verb; the second (dvitīyā) case ending generally indicates the immediate destination of the action expressed by the verb, i.e. the direct object of the sentence. Other nouns that take this form of declension are aśva “horse”, and vṛkṣa “tree”. Where “tiṣṭhanti” is translated as “they (plural) stand”, the pronoun “they” is implied in the verb and it is not necessary to add an explicit Sanskrit pronoun. When the subject of the sentence is explicitly stated, for example “the men (plural) stand”, then the implied pronoun falls away, and this is translated as “narāḥ tiṣṭhanti”. For verbs having a sense of motion (such as go, walk, run), the destination is expressed in dvitīyā. There are some verbs (such as nī) which have both a direct object and a destination, in which case both are expressed in dvitīyā. Since the noun endings define the relationship to the verb, the word order is not important (as contrasted with English where it is), and allows the poet for example, to juggle the word order to fit the rules of scansion 1 . Normally however, the verb is found at the end of the sentence, and the subject precedes the object and destination, as in the above example. Practice pronouncing the first ten consonants (vyañjana), as well as reading and writing them in Roman script and devanāgarī. The men (plural) lead the horses (plural).